BHPRA committee member Gillian Porter was interviewed today by Charlotte Franks from BBC London News. She has recently been filming at the retail parks at one of the Saturday evening “meets”. Having obtained the views of the young men who race cars locally, the BBC wanted views from people affected by the racing and noise. Charlotte Franks is a local Enfield resident and hears the noise. 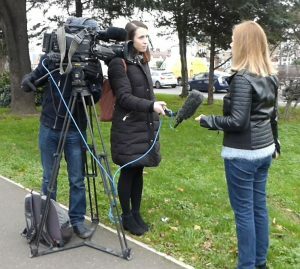 Newly elected local councillor James Hockney was also interviewed. The item is scheduled for broadcast on the lkunchtime local news on 2nd January and again at 6.30pm.